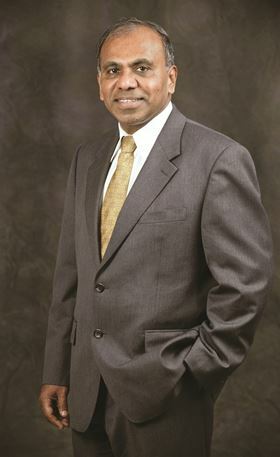 An international conference titled "Research, Innovation and Leadership at the Crossroads of Science, Engineering and Medicine" is taking place this week at the IMDEA Materials Institute, Madrid, Spain, to honor Professor Subra Suresh on the occasion of his sixtieth birthday. More details about this conference, which is being supported by Elsevier and Materials Today, can be found at the website [https://www.sureshlxconference.org]. During a highly distinguished academic and research career that started nearly four decades back, Suresh has consistently made--and continues to make--pioneering contributions in different scientific fields related to materials science and engineering. Additionally, he provided exemplary leadership through key positions in education, research and public service. A large number of students, post-doctoral scholars and researchers, nearly 100 in number, whom he worked with and mentored, now occupy prominent positions in academia, industry and government across the globe. The conference brings together some of the leaders in the areas of materials, mechanics, biological materials, and academic and research administration together from across the globe. Through several keynote presentations and round table discussions, this conference provides an opportunity for the thought leaders in these areas to (re)connect and discuss the frontier topics in the aforementioned areas as well as the intersections of them, and identify wider issues pertaining to materials/mechanics research and education. For more information about the event and Professor Suresh, click here.